Romana Bashir has dedicated her life to interfaith harmony and women's education in order to change the country's mindset. Today she is a member of the Pontifical Council for Interreligious Dialogue. Women's presence in political institutions and civil society is "a positive sign". 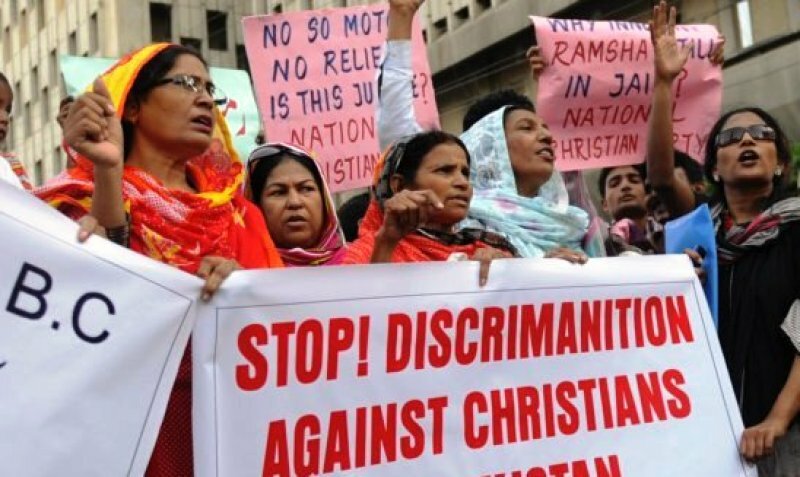 Islamabad (AsiaNews) - The extremist attack against the Christian village of Shanti Nagar, in 1997, gave her the strength to launch a campaign in favour of persecuted minorities. Today she has broadened her activities to include education, in particular among women, harmony and interfaith dialogue. This has earned her an appointment as a lay member to the Commission for Relations with Muslims of the Pontifical Council for lnterreligious Dialogue (PCID). The woman in question is Romana Bashir, a Pakistani Catholic who has dedicated her life to the weakest in society and to "changing attitudes and culture in Pakistan". On 6 February 1997, some 60,000 extremists attacked a Christian village in Punjab Province. The attackers ransacked 13 churches and destroyed hundreds of homes. They came from Khanewal, a militant stronghold, and by the time they had finished, some 2,500 people were left homeless. After this outrage, many activists and ordinary citizens decided to defend the rights of minorities and promote inter-faith harmony. Together with Arif Gill, Romana Bashir, a Catholic woman, has become one of the most respected and active figures in the field since 1998, a year after the tragic events of Shanti Nagar. Bashir has centred her work on community-based patriotism and shared work. She joined the Christian Study Centre (CSC), which promotes freedom of expression, justice, dignity and equality. In 2009, she was appointed head of the CSC branch in Rawalpindi, in replacement of the late Francis Mehboob Sada. Today she is involved in various activities and programmes, meeting with Muslims, tribal and civil society leaders, in order to develop a culture of dialogue and harmony for the common good. Romana Bashir is also committed to women's education, hoping to change the dominant ways of thinking and culture of Pakistan, especially in relation to women. In an interview with Assist News Service (ANS), she said that Pakistani women "have grown," especially among minorities, and "this is a great consolation for us." At a political and social level, women "increasingly present." Examples that she cites are Hina Rabbani Khar, the current foreign minister, and Asma Jhangir, a former president of the Supreme Court Bar Association. Women's "presence is a positive sign," the Catholic activist explained because "Women in Pakistan are convinced that the nation needs to change and extremism should be fought. It is a very important message that gives hope".